Whether you’re planning to throw a Halloween party or not, there are some great Halloween cocktails to make part of your spooky night. Unlike other holidays which have traditional drinks attached to them (i.e., eggnog for Christmas), Halloween is more associated with spooky punches and so on. 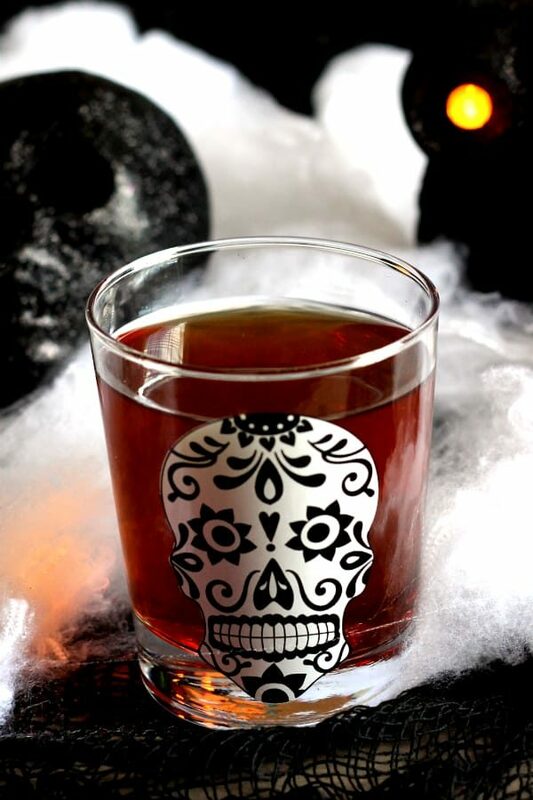 These Halloween drinks will make your evening special. Spookifying ordinary cocktails is pretty simple. First, consider the glassware you serve them in. Skittles Vodka is kind of spooky looking, but serve it in Zombie goblets and you’ve got memorable Halloween Drinks. Use gummy worms, gummy brains or anything else spooky in our Vodka Gummy Bears tutorial, and you’ve got a gross, creepy treat for everyone. Serve Halloween Drinks with lots of tonic water as an ingredient, and then use a black light. Tonic water reacts and glows in blacklight (get your blacklight supplies here), so the drinks will look fluorescent. You can even make your own tonic instead of using store-bought with this tonic making kit. Or try serving drinks from a drink dispenser that looks like a drip bag from the hospital. Color some sugar black or orange with food coloring and use that to rim your guests’ glasses. Layer any kind of black vodka on top of any kind of fruit juice (cranberry or tomato for the bloody look, orange juice for Halloween colors), and you’ve got weird, spooky-looking Halloween Drinks. Check out my cocktail layering tutorial! 1. The Soul Taker is a sweet cocktail which blends vodka, tequila and amaretto. This is a really simple pour. And bonus points if you’re showing MST3K’s Soul Taker at your Halloween party. 2. The Black Licorice Delight cocktail is deep red with black ice cubes and a black sugar rim. It looks perfect for Halloween, and has flavors of black licorice and blackcurrant. 3. The Smoking Blackberry Sage Margarita not only has amazing fresh herb and berry flavors, but actually “smokes” with dry ice. 4. 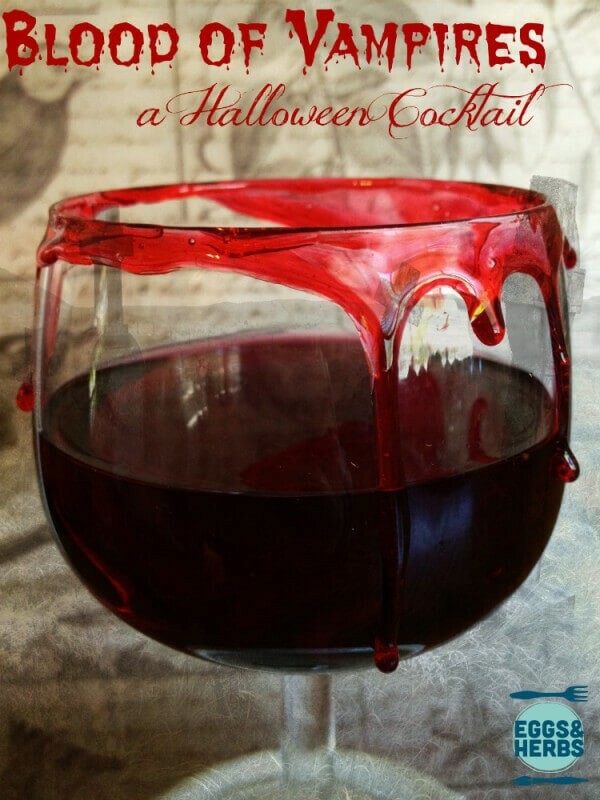 If merely calling a cocktail The Grim Reaper doesn’t make it Halloween enough for you, this one has what looks like blood dripping over the ice cubes. 5. 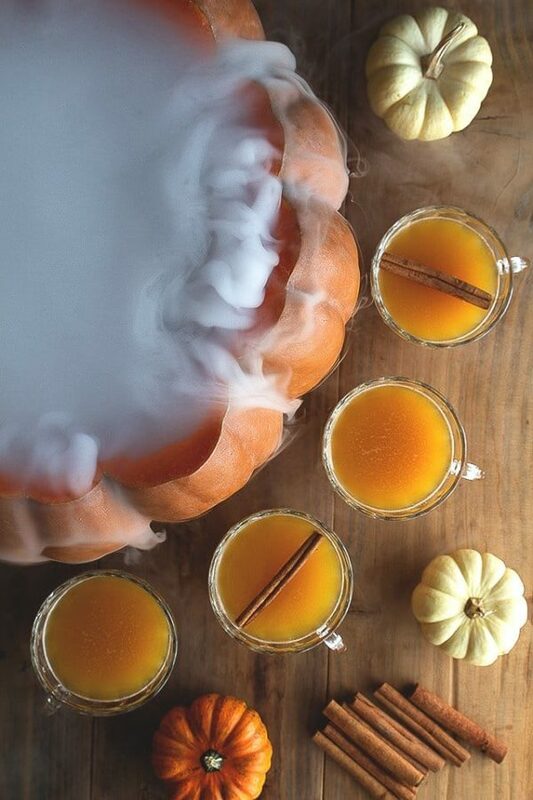 The Halloween Pumpkin Patch cocktail from HonestlyYUM blends pumpkin puree, citrus and spices. 6. 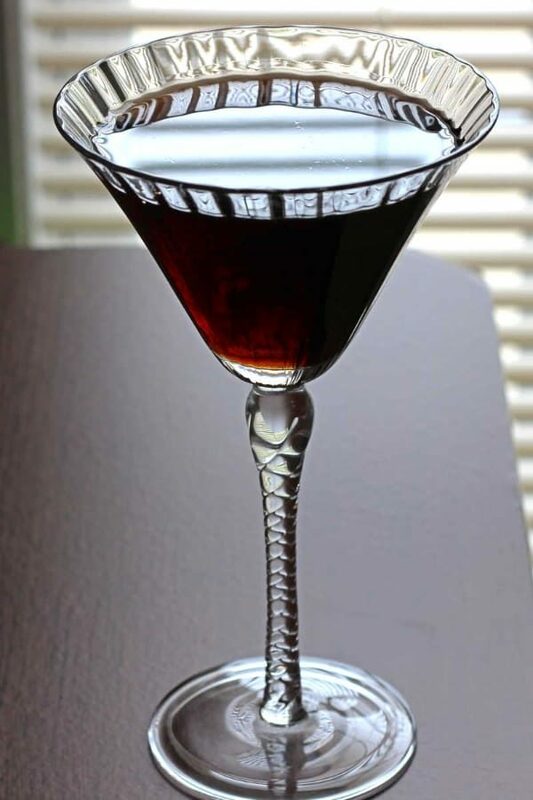 The Undertaker is an opaque black cocktail that features chilled espresso and Kahlua, and also chocolate and vanilla flavors. But be aware: the caffeine will help keep you going well into the night. 7. 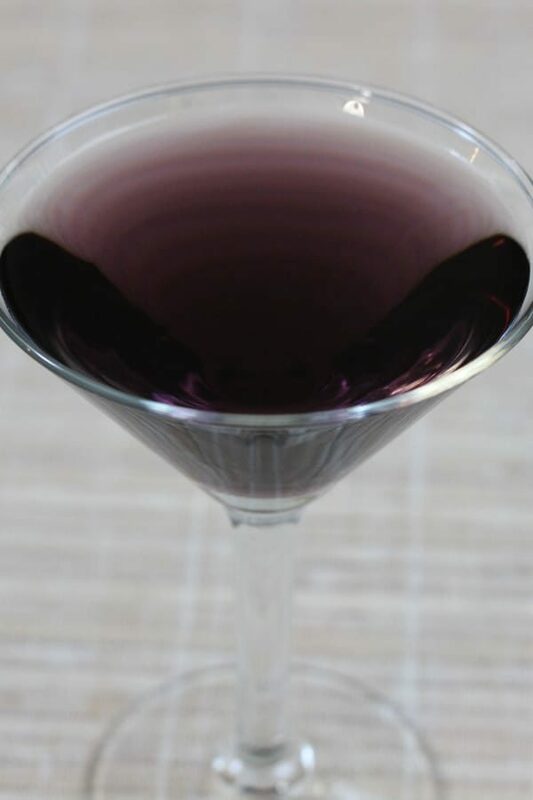 The Devil’s Margarita is a refreshing tequila drink with Apothic Red Wine layered on top for a gorgeous effect. 8. Halloween Brew blends orange and cranberry with pumpkin, vanilla and spice. 9. The Blood of Vampires gets its trademark look from a red candy “blood” used to rim the glass (instructions found on site). 10. 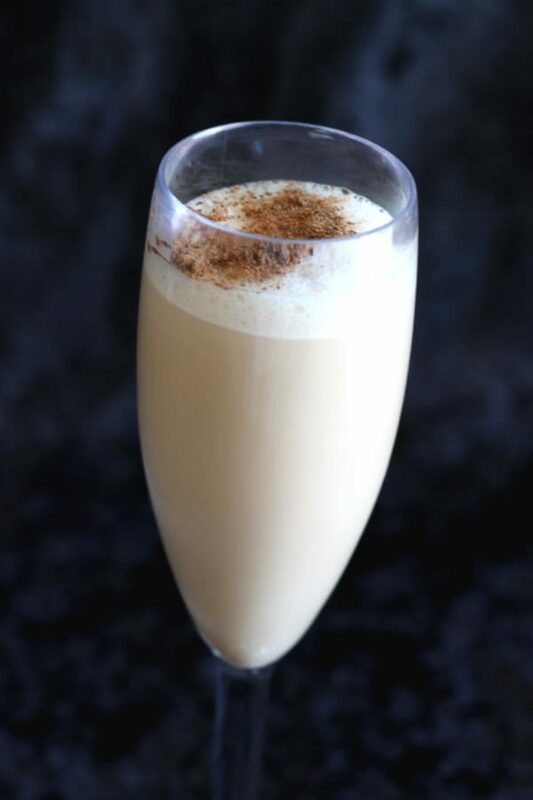 The Liquid Ghost Halloween Cocktail is a ghostly white drink, with flavors like coconut, chocolate and vanilla. 11. The Frightleberry Murzenquest sounds like something the Munsters would drink, but tastes like orange, lime, cherry and vanilla with hints of spice. 12. 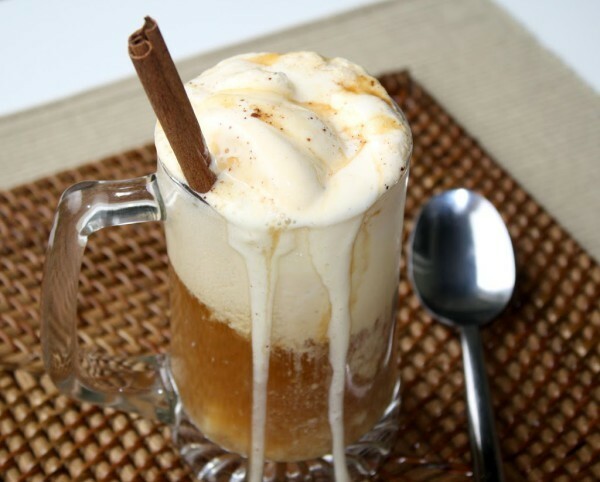 Paleo Pumpkin Pie Ice Cream Coffee Floats give you a non-alcoholic, paleo-friendly treat for yourself or Halloween party guests. 13. 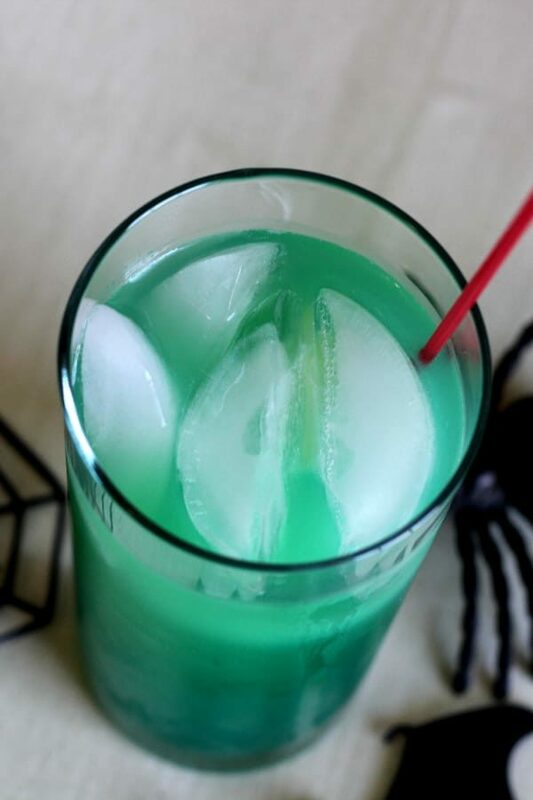 Spooky Juice is green and murky, but the taste is orange and berry. 14. 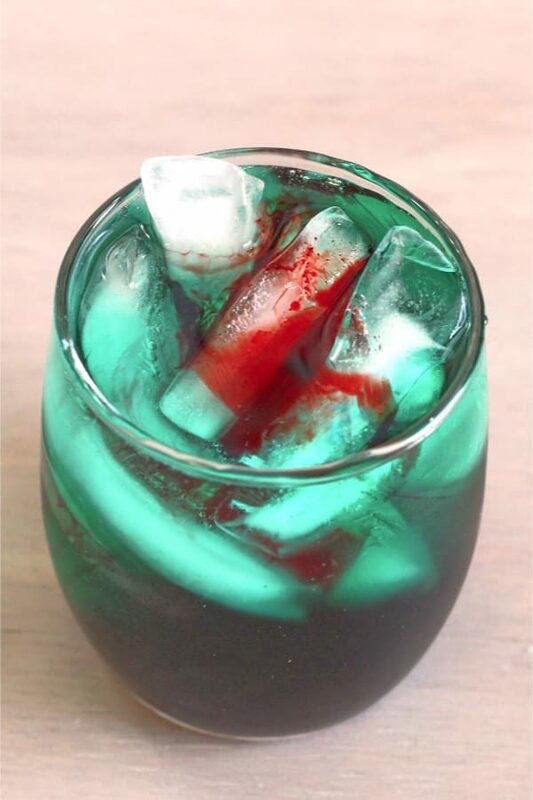 The Shark Bite drink has a similar blood-in-the-water effect to the Grim Reaper, but it’s green, like murky sea water. 15. While not exactly a cocktail, you can’t go wrong with Candy Corn Jello Shots. These gorgeous little treats taste like orange and coconut with whipped cream, and use real orange peels as a base. 16. Also not exactly a cocktail in and of itself, Candy Corn Moonshine is an infusion of – you guessed it – candy corn and moonshine. You can also do it with vodka or rum if you prefer. 17. 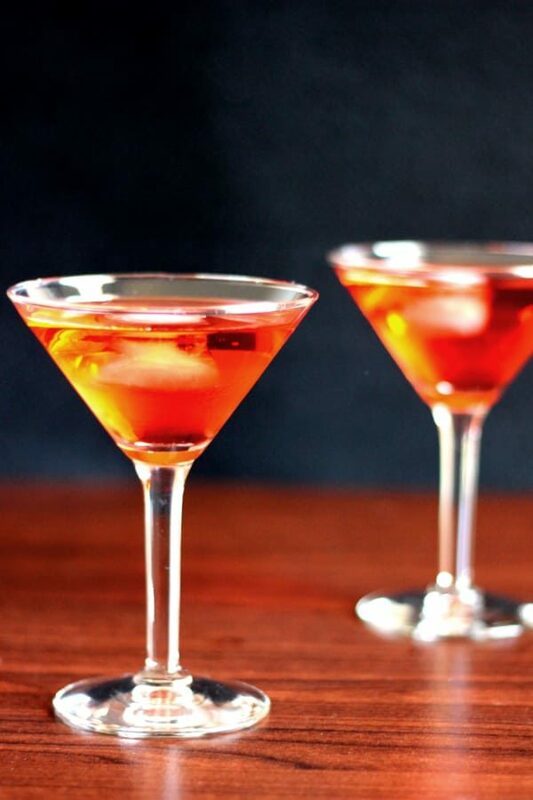 The Red Nail is a classic bright red cocktail with a bittersweet cherry flavor. It has only two ingredients, which makes it so easy to pour. 18. 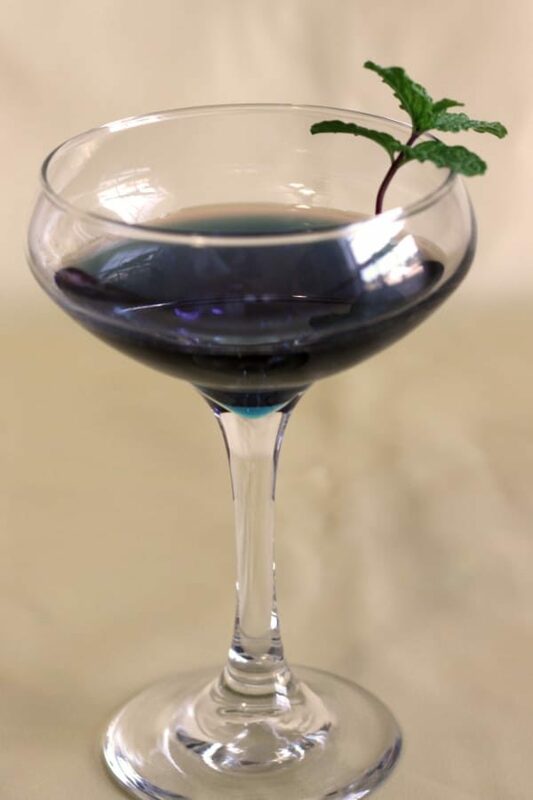 The Garnet Crow is deeply purple and deliciously, darkly mysterious, which makes it perfect if you’re going for more of a chic or Edgar Allen Poe feel for a party. 19. Apple Cider Floats taste a lot like caramel apples, but instead of having to stick your face in a cauldron of water, you can just eat these with a spoon. 20. 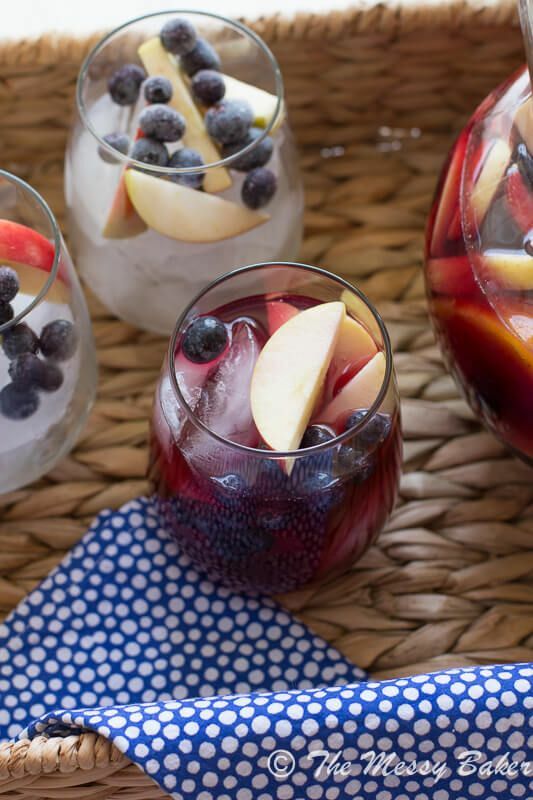 The Wicked Pomegranate Blueberry Sangria blends a fresh persimmon with various other tasty ingredients for a delicious flavor. Also, it looks like blood. 21. The Red Death cocktail isn’t as frightening looking or tasting as the name implies, but it’s rich and sweet and delicious. 22. 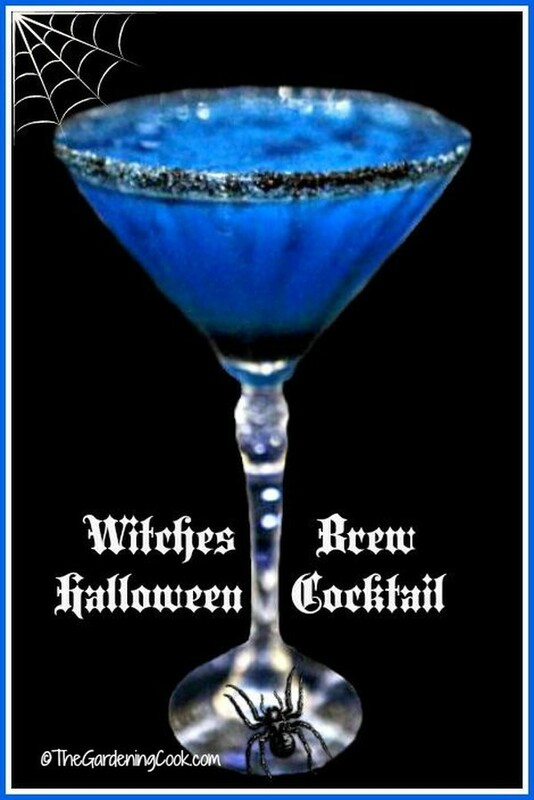 The Witches Brew cocktail tastes like orange and lime, but it has a spooky blue color, with a visually stunning “black sugar” rim on the glass. 23. The Full Moon is so easy to make, with just two ingredients you just pour and stir. Because it’s so low maintenance, it’s ideal for Halloween parties. 24. Dark Lord is another very dark purplish cocktail, with a strong blackberry note followed by cranberry, which most everyone loves. 25. 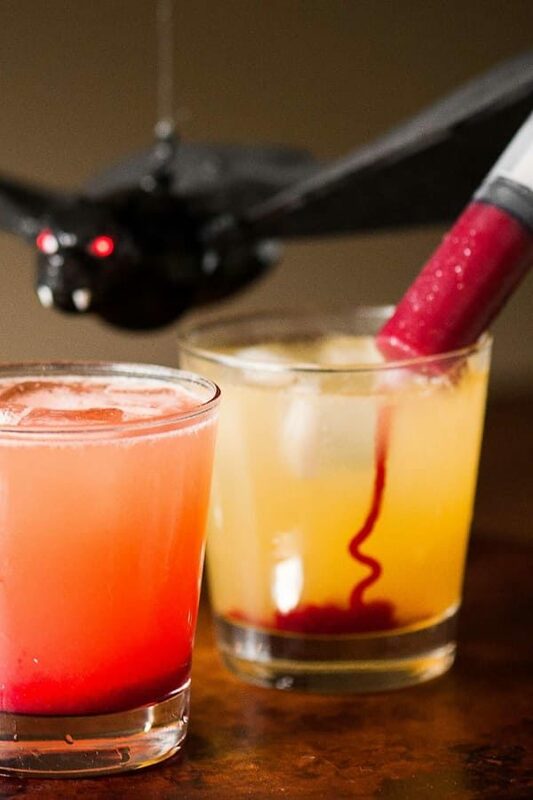 The Vampire Cocktail comes with a syringe of blood red raspberry puree which guests shoot into their drinks and stir. 26. 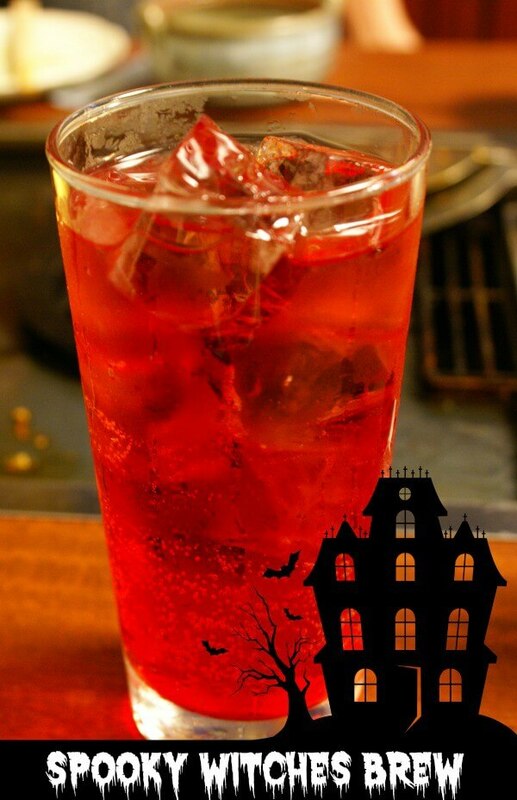 The Spooky Witches Brew, an entirely different drink from the Witches Brew above, is blood red and tastes wonderful – fruity flavors with coconut. 27. The Grateful Dead isn’t just a band. This cocktail can knock your socks off with four liquors and some Chambord. Perfect for a night of slasher movies, or for a night of getting mellow with the Grateful Dead. 28. The Ichabod Crane tastes terrific, with pumpkin vodka and vanilla ice cream. The grossness factor may not be quite up to your Halloween standards, but the flavor and name rock. 29. The Undertow Cocktail tastes like raspberry and orange. You can pour it as either a shot or a full-size cocktail. There’s nothing complicated about the pour itself, which makes it great for parties. 30. 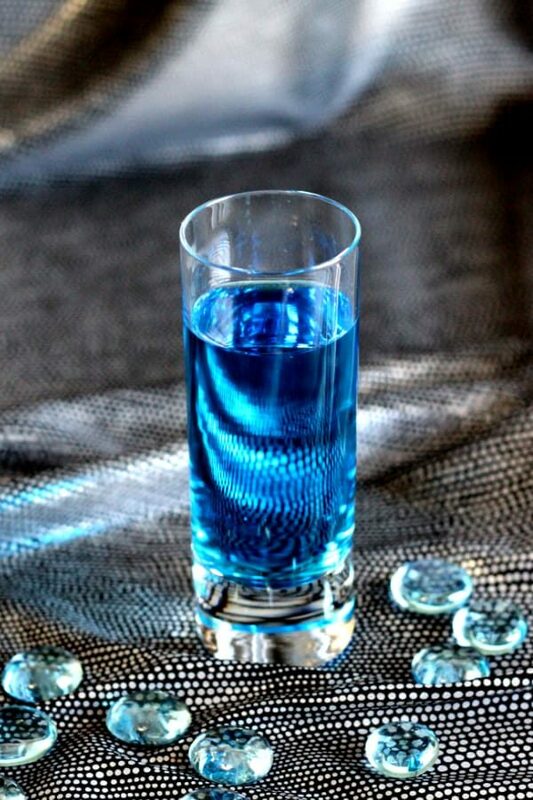 The Mage’s Fire is a bright, almost glowing blue drink that tastes like orange and cinnamon. Enjoy this one on a night of gaming. 31. 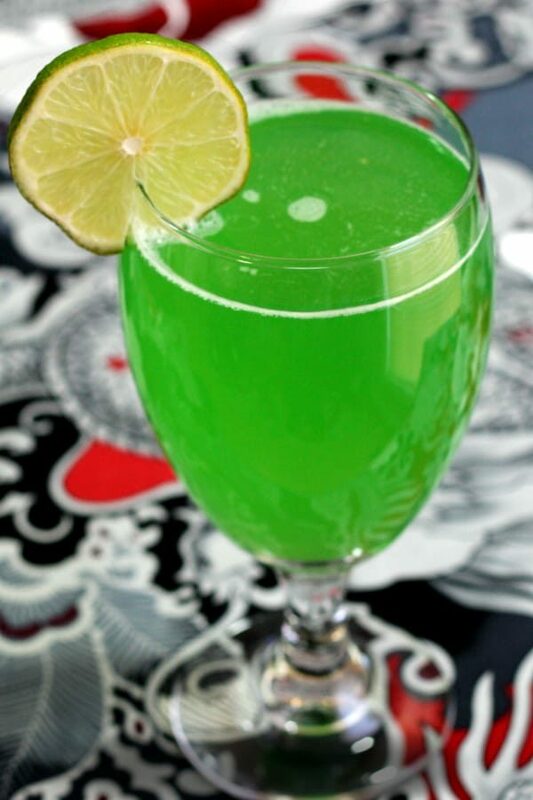 Green Demon has a bright, eerie green color, but it tastes like honeydew and lemon. 32. 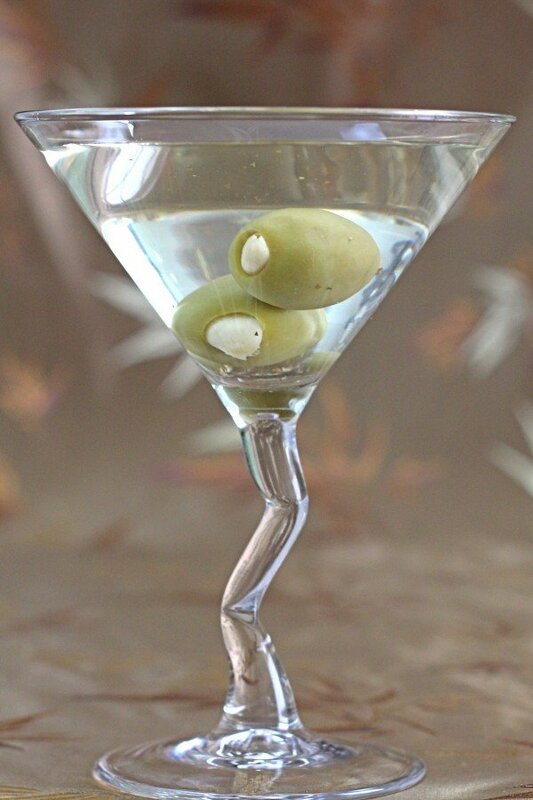 Garlic Martinis contain garlic-stuffed olives to keep vampires at bay, and that’s just what you need to stay safe if you’re watching vampire movies. 33. 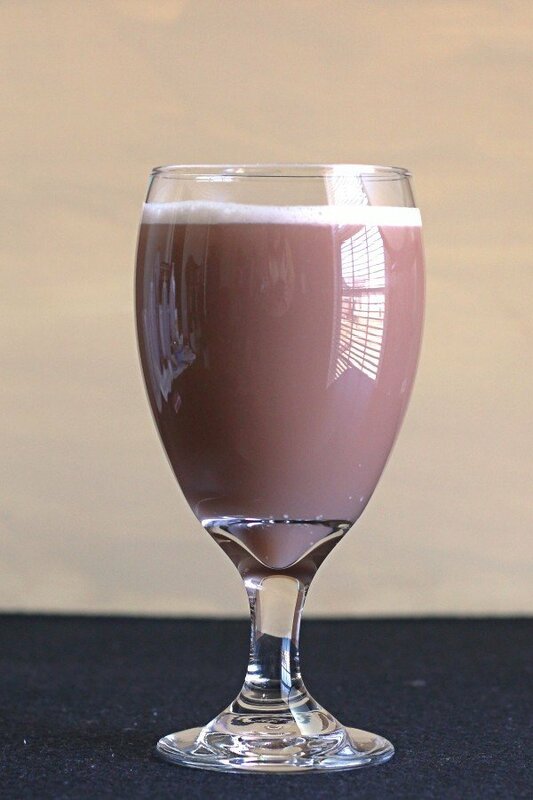 The Ogre Drink features coconut rum, coke and ice cream. Sure, maybe there’s nothing Halloween about it except the name, but no one will have a problem with that. I think the spiders as a garnish (which you could actually make with real food), olives and little peels for the eyes amongst other things definitely adds a lot of character to the cocktails. Halloween should be about fun and these are some cool ideas on how to spruce up your party.